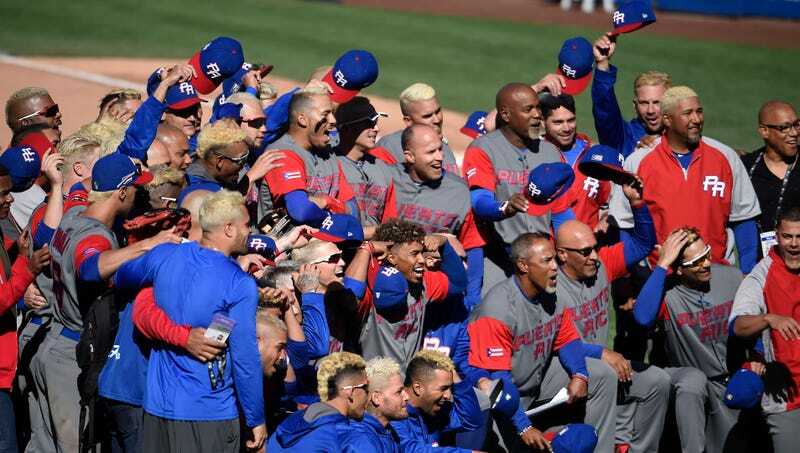 The members of Puerto Rico’s baseball team dyed their hair blond for the World Baseball Classic, and as they’ve advanced through the tournament, the people of Puerto Rico have been catching on to the trend. In fact, “Team Rubio” has inspired so many Puerto Ricans to go platinum, the island is running out of hair dye, the Associated Press reported. The report said that “men ranging from news anchors to university students to professionals” are dying their hair blond, and that it’s causing a dye shortage. Luckily Puerto Rico’s governor Ricky Roselló managed to get his hands on some, and his golden locks were peeking out from under his hat when he joined broadcasters in the ESPN booth during Wednesday night’s final. So much more fun than Team USA.